Taking advantage of expiring airline miles and a short period of unemployment, I took a very quick trip to Puerto Rico (just three days) in Sep of 2009. Given the short time, I stayed in San Juan and did not explore other areas of the island. Bride looking at Castillo San Felipe del Morro, one of the tourist attractions of Old San Juan. Puerto Rico is easy and accessible to a visitor from California. It has some of the feel of a different country but there is no need to calculate currency exchanges, carry a passport, give up your favorite fast-food, or speak different languages. A perfect “international” destination for the unseasoned traveller. 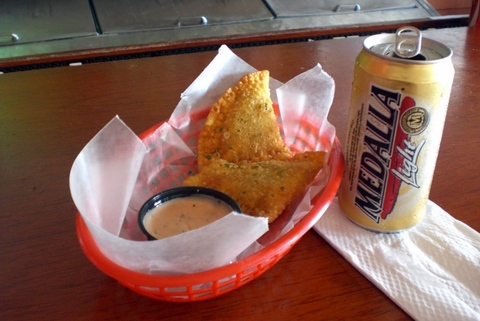 Pastellitos and Medalla - local bar food. From my perspective, San Juan shares amazing similarities with some of the cities in the Northeast of Brazil I have been to. Same Iberic architecture (from the fort you see above to the colonial construction style below), similar food, similar ethnic mix, similar attitude. Just a bit cleaner and easier. So, I say: if you have the time and the sense of adventure, visit Salvador in Bahia. 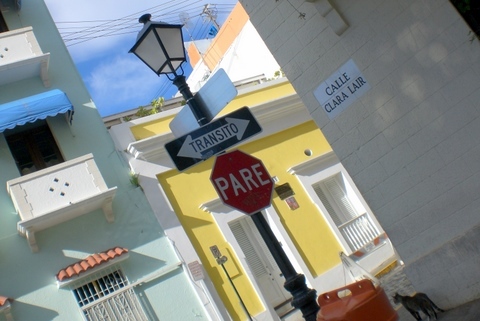 If you prefer the pasteurized version or have just a few days, San Juan is a fine destination. 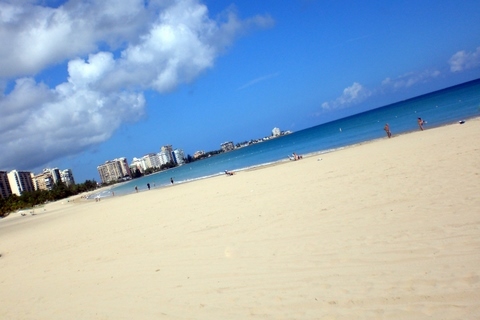 I missed some of the beach life and atmosphere, but the beaches near San Juan are nice. Fine sand, warm water, lots of sun. 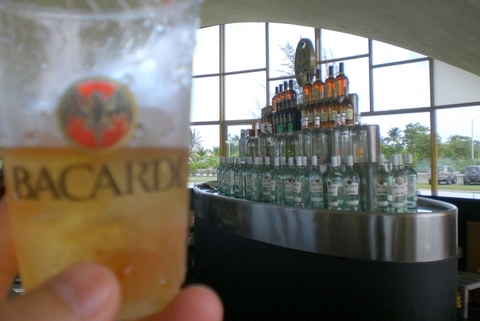 Beyond Old San Juan and exploring the real-life suburbs of San Juan city, I also visited the Bacardi distillery. It is a quick ferry trip away from the city.